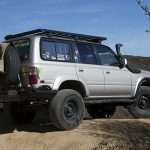 Over the years, Rodney Wills has tricked-out his 1992 Land Cruiser with dozens of upgrades, including a Front Runner Slimline II roof rack, an Airtec snorkel and Falken Wildpeak tires. 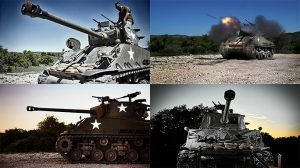 You can always count on one of these beasts to deliver you from evil when SHTF. They are virtually indestructible. 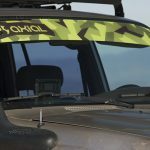 A look at the Airtec snorkel air intake. 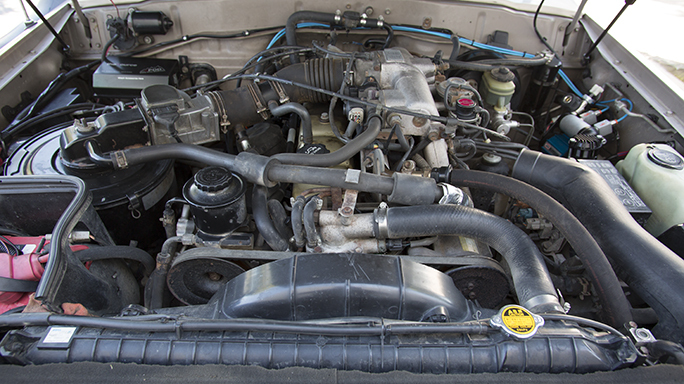 The ride’s 3.0-liter, inline six-cylinder 3F-E engine provides plenty of power for off-roading. 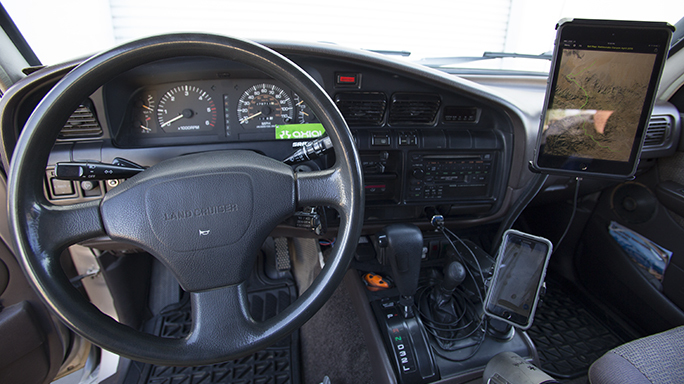 Rodney’s customized the interior with a GPS system for navigation. 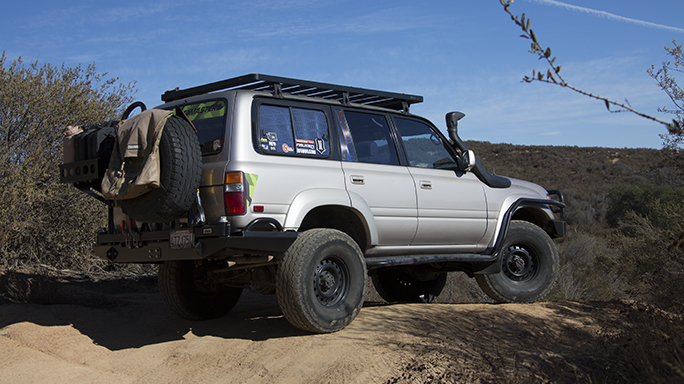 Upgrades, include a Front Runner Slimline II roof rack. The ADV80 is complete with Falken Wildpeak tires. 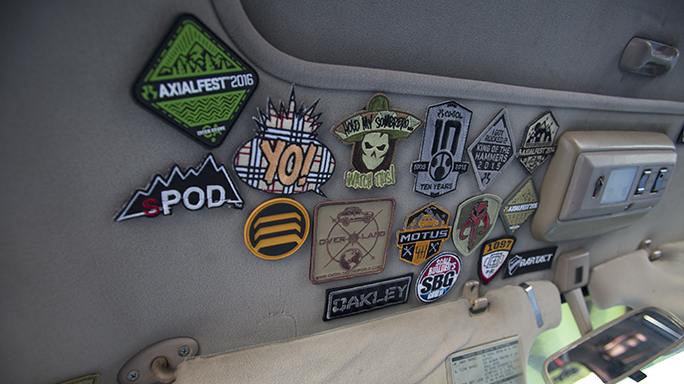 Rodney’s customized the interior with patches. Rodney has lived a life of constant immersion. He just can’t do anything casually. He’s been diving head-first into the deep end of myriad pools since he was a teenager. It was then, before he could drive, that his love for BMX drove him to open his own bike shop in the suburbs of Birmingham, Ala.—long before Amazon and eBay. And in that same analog era, a local record shop enlisted Rodney’s services based on his uncanny ability to find good music well before iTunes made it easy. This moment instilled in Rodney a lust for unplugging and getting off the grid as often as possible. 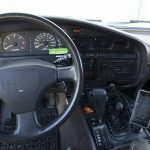 Much like everything else in his life, Rodney immersed himself in the search for the perfect getaway vehicle, which brought him to this well-worn Toyota. 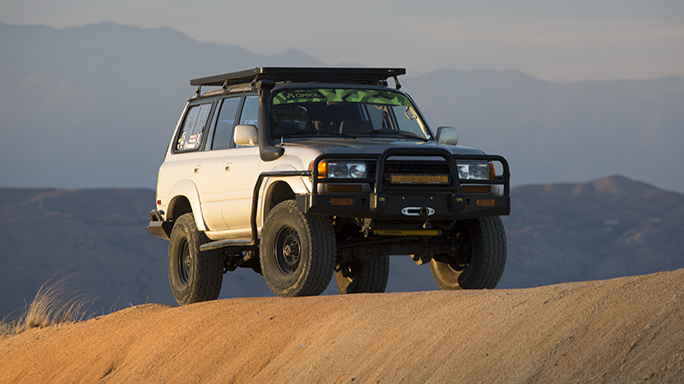 And he couldn’t have made a better choice, as Land Cruisers are very popular for off-roading all across the globe. 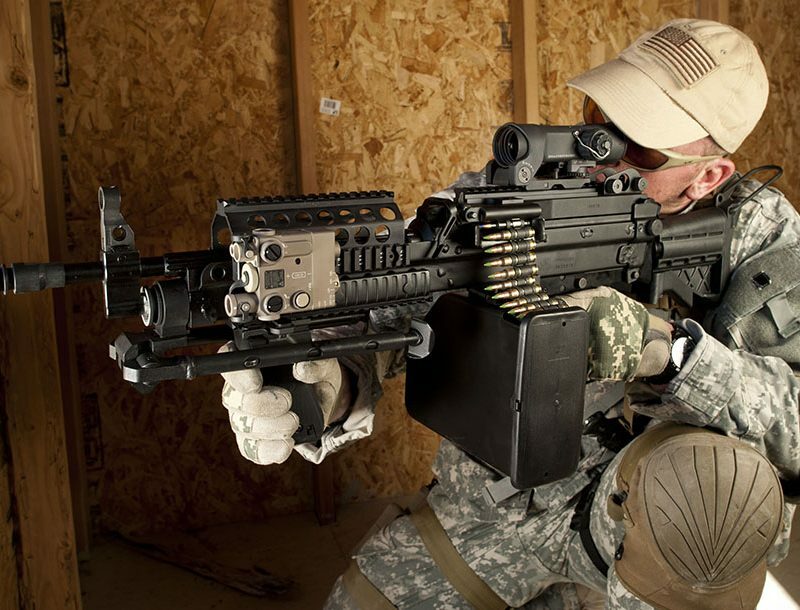 You can always count on one of these beasts to deliver you from evil when SHTF. They are virtually indestructible. Take Rodney’s 1992 model for instance. 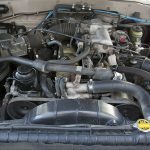 He stumbled upon this 80-Series, codenamed the FJ80, in 2008 with 160,000 miles on it and not a single mechanical problem. After spending $3,000, it was his. At the start, Rodney performed all the basic maintenance to ensure his “ADV80” as he calls it, would be trail-ready. From there he just took some time to enjoy the ride before digging into any serious modifications. 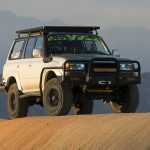 To make sure nothing or no one gets in his way when he’s getting away, Rodney added a TJM T15 front bumper with safari-style side-brush rails that integrate into step-side rails. He’s quick to point out that these are not rock sliders, which would allow the ADV80 to pivot up and over boulders and other obstacles that would high-side a lesser rig, although he is planning to add these at some point. 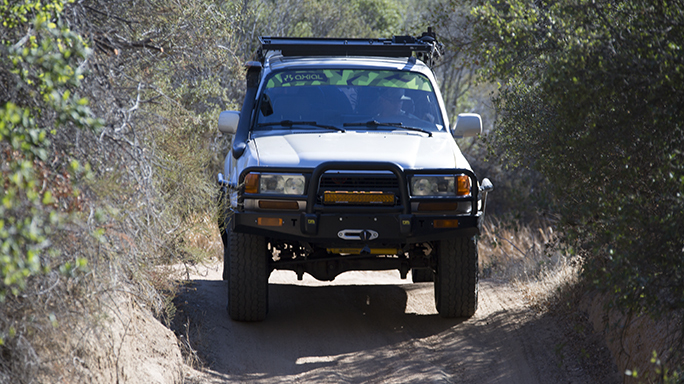 Sitting front and center in the front bumper is a Tuff Stuff 12,000-pound winch. But even this stump-puller isn’t enough for Rodney, as he takes a lot of solo trips where extraction tools are a must. After thousands of miles, Rodney finally went big on the undercarriage. ICON Vehicle Dynamics used the ADV80 as the prototype for its ICON HD VS 2.5 Series Piggyback Shocks. Three-inch ICON progressive springs improve clearance and ride quality. 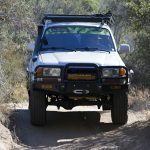 Changing gear ratios can really improve a vehicle’s off-road prowess, and Rodney did just that with a switch to late-model axles that also came with upgraded disc brakes. 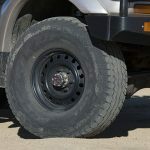 The larger brakes called for larger wheels to clear the calipers, and being ever resourceful, Rodney found five Tundra spare wheels that fit the bolt pattern of the new axles. 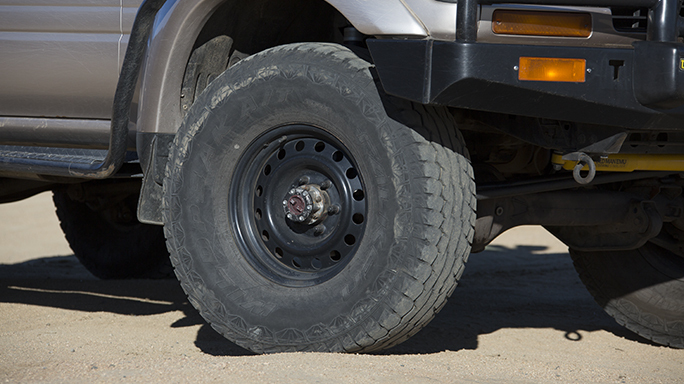 The steel wheels look mean and they’re strong, affordable and easy to find in a pinch. 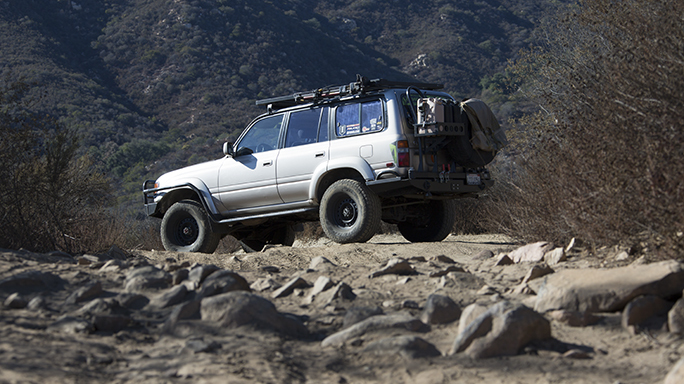 Rodney wrapped the steel wheels with beefy 315/75R16 Falken Wildpeak tires. Aside from these modifications, Rodney only lists one other major tweak, which he calls “desert pin-striping.” These deep scratches on the flanks of a rig are caused when you venture deep into an overgrown area, and Rodney wears each and every one on his ADV80 with pride. We couldn’t agree more, Rodney. The next time you want or need to escape, you could do much worse than Rodney’s well-worn ADV80. Rodney has a long list of people that helped in various ways to make the ADV80 become what it is today, the masterpiece of Land Cruisers. 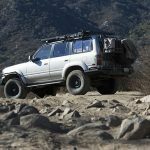 Editor’s Note: This isn’t limited to Land Cruisers. 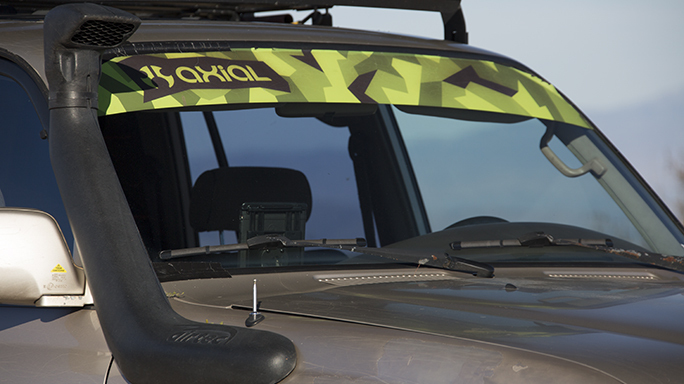 Want to show off your rig in the pages of “Ballistic” magazine? 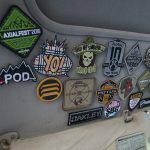 Shoot us over a high-resolution digital image of your “Wildest Ride” along with a caption that details what you’ve got to editdesk@athlonoutdoors.com. 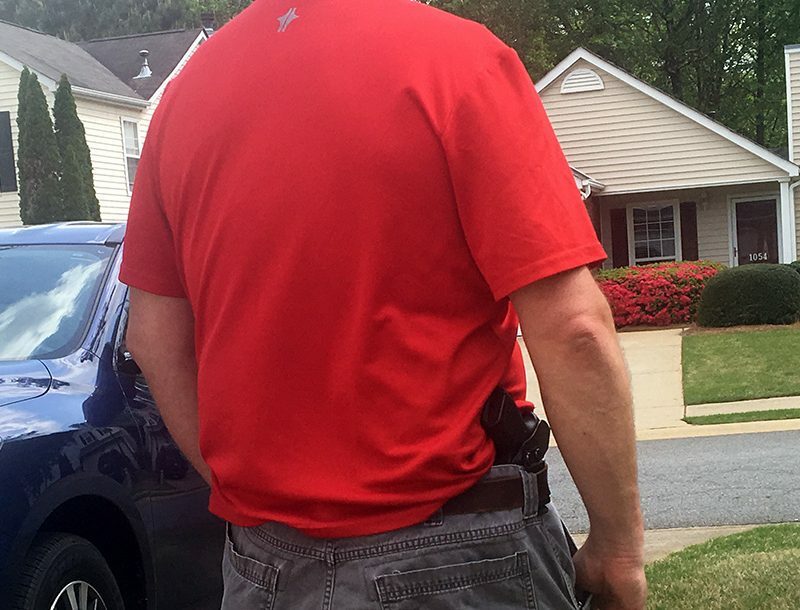 Include your name, address and telephone number so we can shoot you back some swag. Hell, we might even ask you to take part in a future “Wild Rides” feature story.